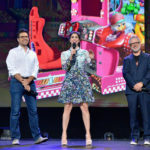 New Trailer Released for "Ralph Breaks the Internet: Wreck-It Ralph 2"
Folks it’s almost time for us to dive back into the arcade game world. 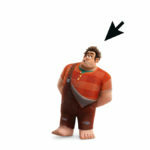 Wreck-It Ralph and Vanellope Von Schweetz are back for some more fun and this time they’re headed to the internet! 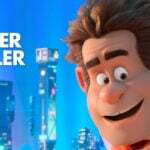 Disney just released a brand new trailer for the upcoming film Ralph Breaks the Internet: Wreck-It Ralph 2. 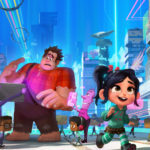 This new trailer gives fans an even better look at Ralph and Vanellope’s adventures as they discover the internet. Over the weekend, they debuted a new poster as well. 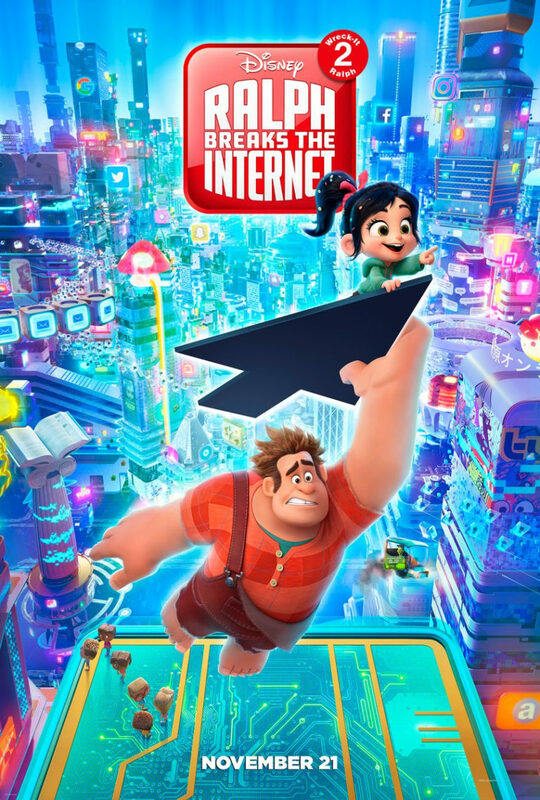 We can see Ralph and Vanellope hanging onto a computer mouse arrow as they’re lifted off a micro processor. In the background are dozens of favorite internet icons. How many do you recognize? Ralph Breaks the Internet is scheduled to arrive in theaters on Wednesday, November 21st — just in time for Thanksgiving! Vanellope meeting all of the other Disney Princesses. And incase you’re wondering, Disney brought back as many original princess voice actresses as possible. As for Vanellope, some might argue that she is a Disney Princess. In Wreck-It Ralph, she hails from an arcade game called Sugar Rush. While we only know her as the glitch, at the end of the film it’s revealed that she’s actually the princess of the game. Alan Tudyk’s King Candy won’t be making an appearance, however, he will be lending his voice talents to the cast, as the search engine named, KnowsMore. Taraji P. Henson also joins the cast as, Yesss a stylish algorithm working for BuzzTube who wants to make Ralph cool. Ralph Breaks the Internet: Wreck-It Ralph 2 arrives in theaters on Wednesday, November 21st.